Oftentimes one finds an interesting sight when not expected. 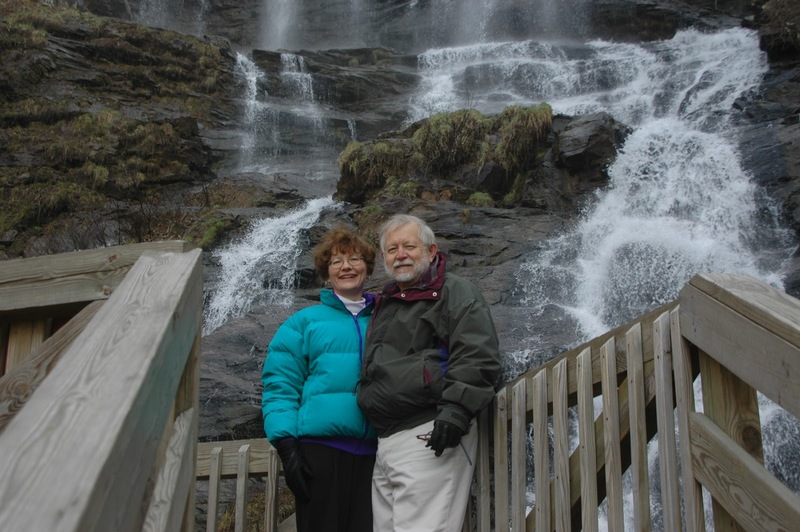 Such was the case on a trip to the Great Smoky Mountains National Park a number of years ago. We had decided to take a different route north from Atlanta seeking a new perspective on the countryside. As was the case, the March day was getting long and we started looking for a place to camp (in our van) for the night. 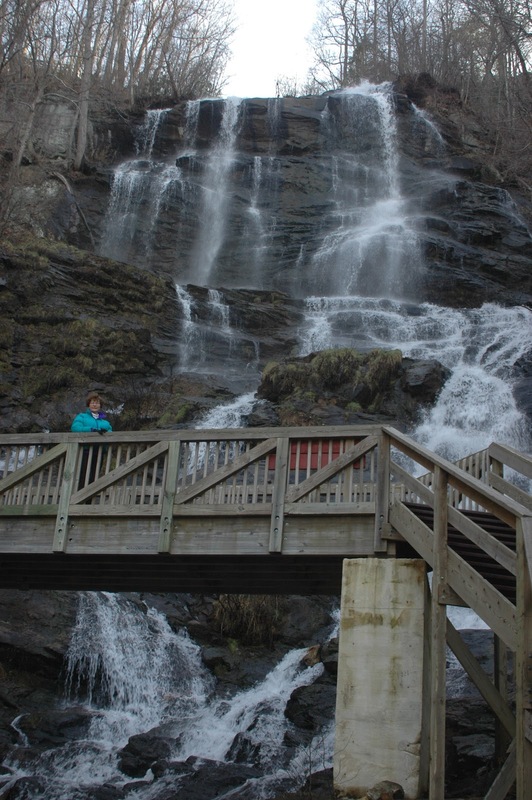 We checked our the Georgia map and saw that we were in the vicinity of Amicalola Falls State Park. We had never heard of the place previously but were willing to give it a try. 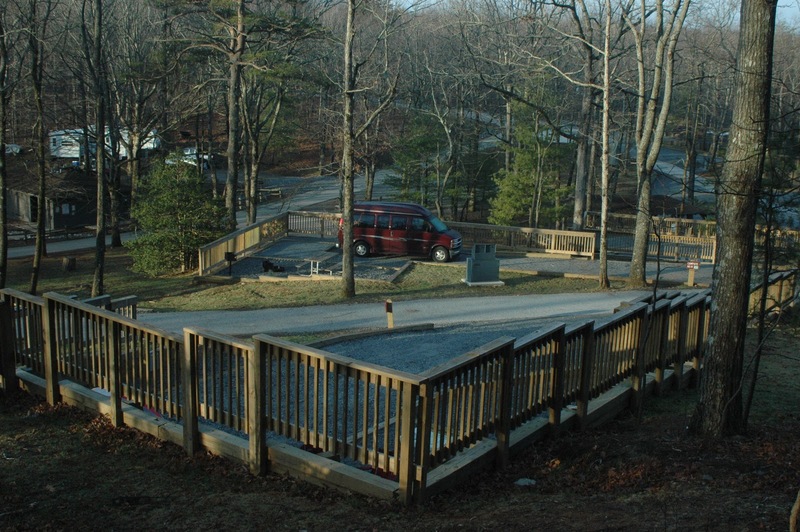 There were a lot of empty camping sites and also a lodge and cottages. 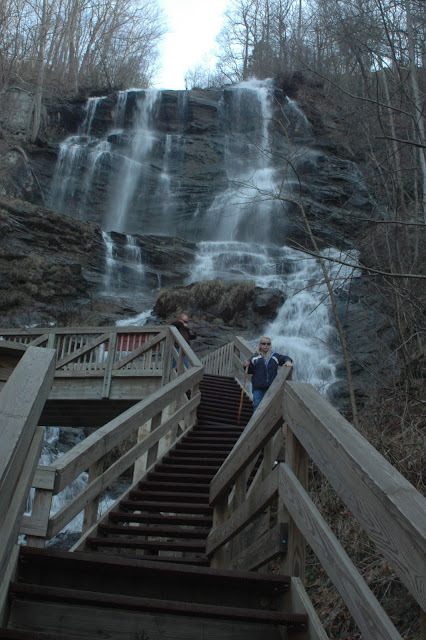 But the most impressive sight was the falls itself. 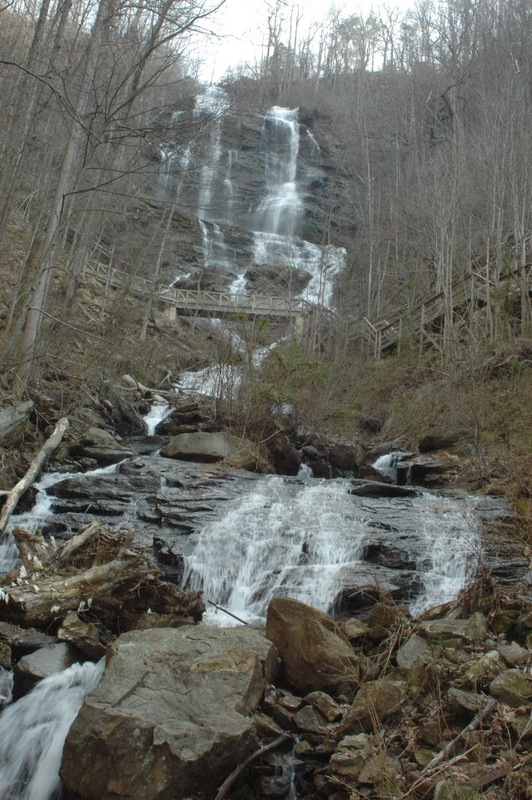 The 729-foot cascade is billed as the tallest in the Southeast. And to get a good view (many at that) there is a pathway and also what is called a "challenging trail with staircases." We chose to take the "challenging trail with staircases" and thoroughly enjoyed the trip down the side of the mountain. The trip back up was also challenging. Because it was a March day, vegetation in the area had not started to blossom out therefore offering an unencumbered view of the cascades all the way down. 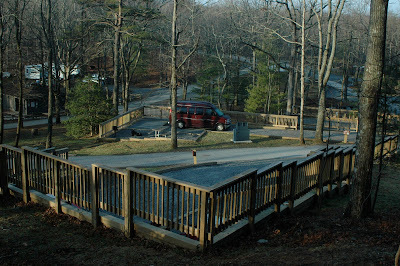 We're always in a rush to get to the Smoky's, therefore we only spent one night there. But the stop was a highlight of our trip.